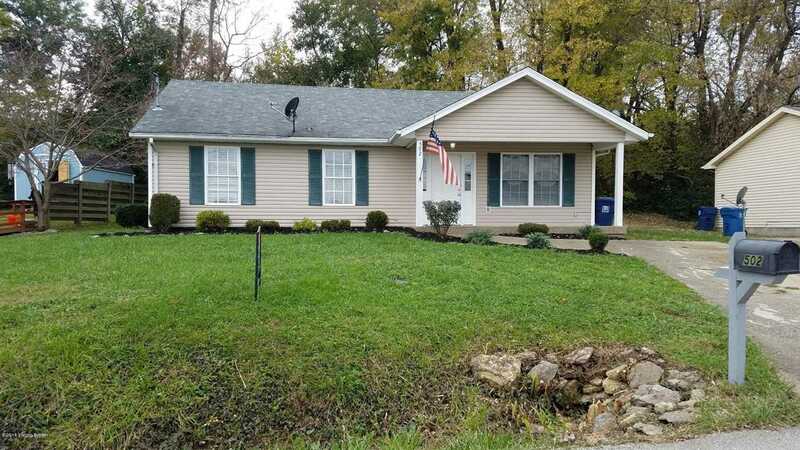 This adorable ranch home sits on a quiet street with a treed back fence line and is move in ready. Fresh paint through out. Check out the updated eat in kitchen, 3 bedrooms and 2 FULL baths!!! It is within walking distance to downtown and is only minutes from Interstate 71. Located in Award Winning Oldham County School District!! Directions:In LaGrange take Hwy 53N /S 1st Street to W Lee St then right onto 3rd Ave, house is on the left. SchoolsClick map icons below to view information for schools near 502 N 3Rd Ave La Grange, KY 40031.